You are now able to book/cancel appointments online and request repeat prescriptions online using the surgery online system. To access the service you will need to come to the surgery to register at Reception where you will be given a Personal Identification Number (PIN) which you can then use to set up your unique user account with your own secure password. Please note that, for identification and confidentiality purposes, you will need to present in person at the surgery to obtain your PIN. Please bring 2 forms of identification. This must include some photo ID. Ask the receptionist for details of how to register for Patient Access and receive your registration details then follow the simple instructions below. Register and follow the log-on instructions. 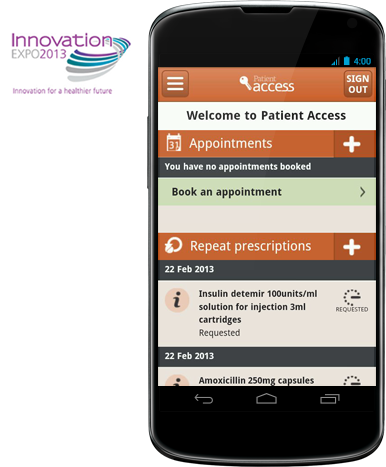 The app provides greater convenience for our patients who are away from a desktop PC or laptop, with access to a Smartphone.